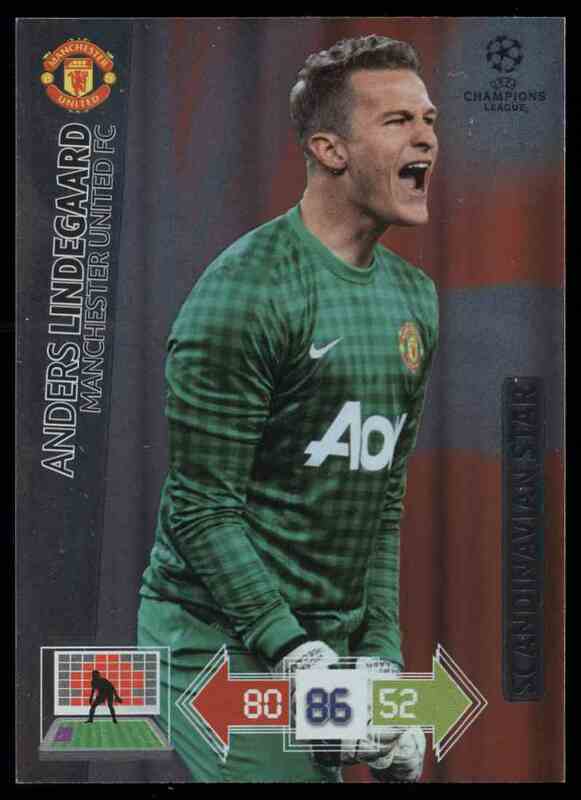 This is a Soccer trading card of Anders Lindegaard, Manchester United Fc. It comes from the 2012 Panini Adrenalyn XL Uefa Champions League Scandinavian Star set, card number NNO. Insert. It is for sale at a price of $ 19.99.